The government will do away with the Gewog Development Grant (GDG) for the 12th Five year Plan. Instead, it will disburse additional development budget to the local government on a quarterly basis as annual grants. This was announced at the Friday Meet with the Prime Minister today. Representing the prime minister, the minister for agriculture and forests, Yeshey Penjor, said the development budget will be released as proposed by the local government. The sixth meeting of the cabinet ministers decided this. 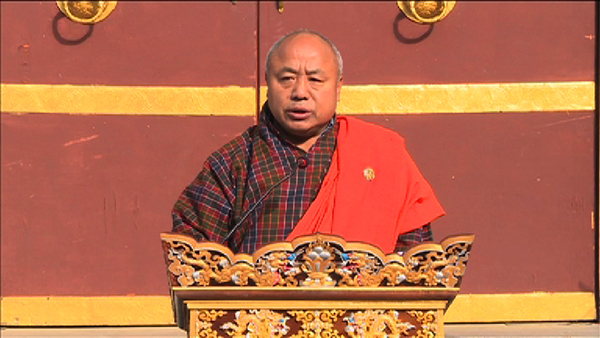 “The annual budget will be disbursed quarterly, every three months by the finance ministry,” Lyonpo Yeshey Penjor said. The cabinet has also instructed the finance ministry to study the capacity of local government in utilizing the annual grants. Until now, a Gewog Development Grant of Nu 2 M per year was given to each gewogs apart from the regular budget. The grant was aimed at strengthening the decentralization process and promoting good governance at the grassroots level.